Here is the only concept of projector screen in the world, fixed, foldable, conceiled behind a painting, fully customizable and interactive in option. Different screen sizes are available according to the projection distance you have available: about 170cm wide, 200cm, 235cm and 265cm wide. The total wingspan of the screen is extended by 40cm by 2 black side covers that conceal the tension of the canvas and improve the perceived contrast of the screen like 2 curtains to the right and the left of your eyes. Our screens are made in 3 formats according to the main use: 16/9 Format for standard HD use, 16/10 Format for office projector, 2.35 / 2.40 format for use only cinemascope movies. Each of our screens is equipped with our triptych mechanism that tension the canvas at each opening, and bends the canvas without bending it when you close your screen, even in the long term, because the canvas curls in the device away hinges that can never bend. 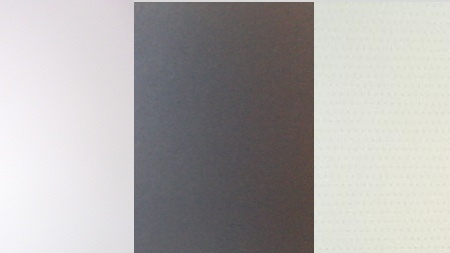 – Silver canvas for 3D projections (gain 1.3, directivity 120 °) – Microperforated canvas for in wall speakers behind the screen (0.5mm perforations, gain 1.0, directivity 170 °). Because the human eye perceives an image as more beautiful and contrasted when it is framed, the old cinema framed their screens with big dark cinema curtains. 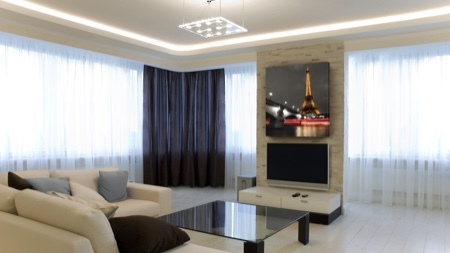 Our technical canvases have the widest black edges in the world, 20cm to the right and to the left, which absorb and limit the reverberations of the ambient luminosity of your room. Your eye will perceive a much stronger contrast. 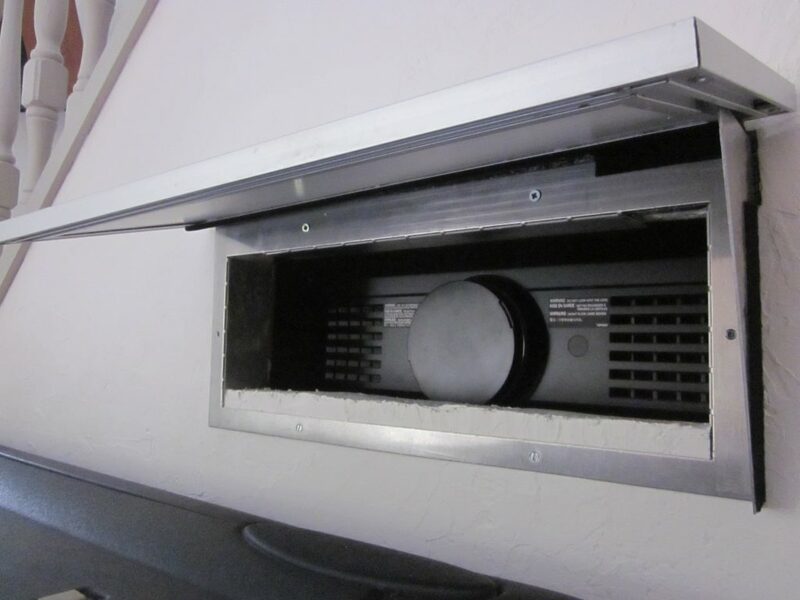 You will finally benefit from the contrast of your projector. 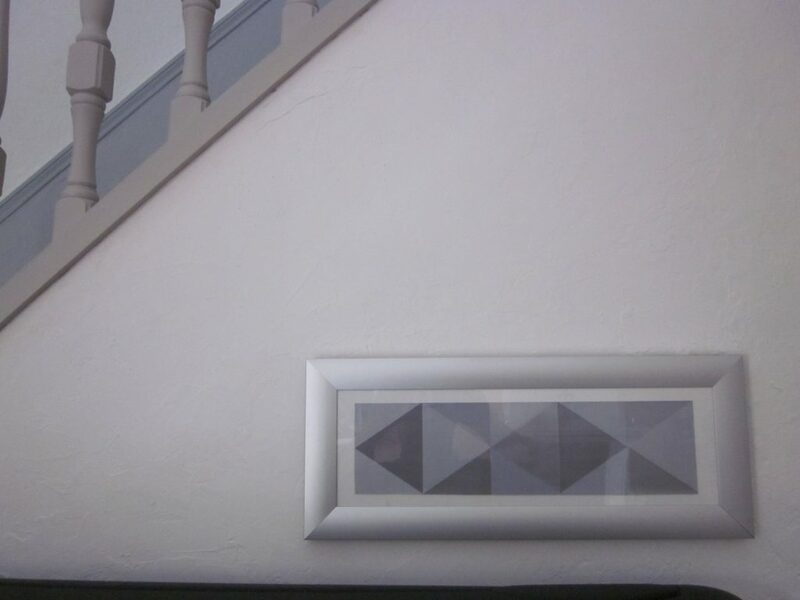 Our screens can be lined with aluminum frames in front, to give your screen a design look. 6 aluminum colors are available to order, equipped with a cardboard background and a synthetic plexiglass for your own poster. Our screens can be lined with wooden frames in front, to give a traditional aspect to your screen. Many color choices are made to measure according to the current manufacturers. 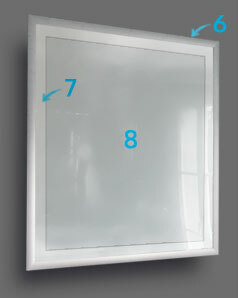 These paintings are equipped with a cardboard background and a synthetic plexiglass for your own poster. For a noble aspect like “French Art of life”, our screens can be lined in front of a reproduction of works of art on linen: choose from more than 100 reproductions of works of art in our catalog. You dream of adorning your screen of your own most beautiful photo? Send us your file in high definition (minimum 1920×1080 pixels or 500dpi) and we will print it to you on linen. You want a desktop use, we will equip your screen in front of a white board for markers. Looking for a suitable projector for your project? Because we manufacture screens since 2005 we offer you an optional selection of high definition video projectors, different brands, brightness and contrast. These projectors are only available in our “direct workshop + screen projector” packs, exclusively on this site, not valid in stores and within the limit of the projectors manufacturers stocks. Looking for a very large interactive screen? Here are the only projection screens in the world that are both interactive on option, tensioned, foldable and designs, compatible with any projectors: we will equip your screen with our special mechanism allowing you to lean on the canvas with an interactive pen, an “eBeam” standard interactive motion sensor. 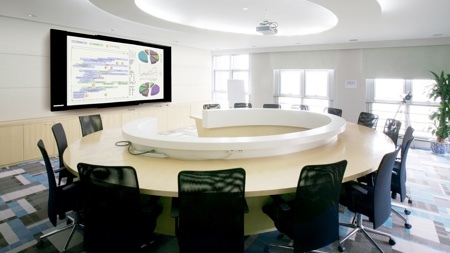 Fewer than the big interactive monitors, combining high-definition projections and interactivity, surprise VIP participants of your corporate meetings with the world’s only interactive projection screens made in France!